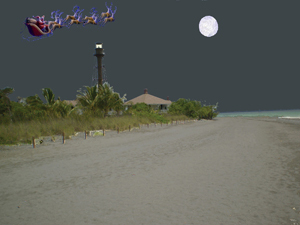 Sanibel Island Real Estate, Captiva Island Real Estate - Time to plan for some holiday fun! Time to plan for some holiday fun! Lots to do on your islands! 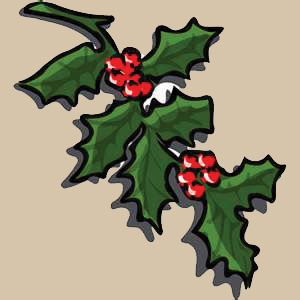 The holidays are coming so how about we look at some of the activities that will be available on our islands. This is a fun time of year when our winter residents return, and our tourism season starts to gather steam. On November 9, starting at 9am, we have the “Ding” Darling Kids Fishing Derby. This is a great time for kids and parents! Fishing is always fun and this event is free and will include awards for lots of different categories. Registration begins at 8:30 a.m. on the causeway so come on down! Click Here for more event information. Next we have our Annual Sanibel Island Writers Conference on November 7th to the 10th. Located at the Sanibel Island Public Library, the Conference will hold workshops in poetry, fiction, childrens’ literature, and even publishing and editing. You can find more information Here. Holiday music is always fun and on December 10, starting at 7pm, BIG ARTS Community Chorus is performing their Holiday Concert. 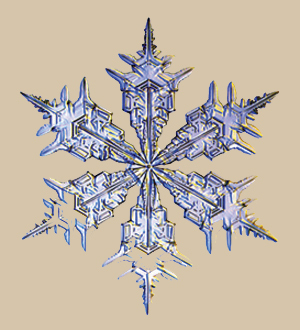 This is always a favorite event and will get you in the holiday spirit. You can enjoy more holiday music at the Concert Band Holiday Performance at BIG ARTS on December 17, from 7:00pm to 9:00pm. For more information click Here. How about a little boat ride! On November 28 we have the Thanksgiving Sunset Dolphin Cruise from 4:30 to 6:00pm. Leaving from McCarthy’s Marina on Captiva, this cruise is lots of fun as you enjoy music, free soft drinks and dolphin playing in the boats wake as the sun sets. Click Here for more info. 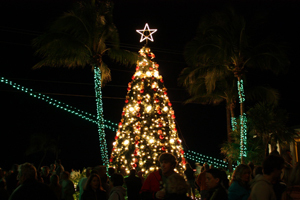 A definite island favorite is the Sanibel Luminary Festival on December 6, from 5:30pm to 9:00pm. This is the 29th annual Luminary Festival and it’s an event that promotes local businesses and lots of goodwill. You will walk “the trail” of lit candles and visit our business community. You can get photos with Santa and lots of other activities. This is a “must see” event! More Here. On December 7th, Captiva Island holds its own luminary trail event! On December 22, from 4:00pm to 6:00pm you can enjoy the Holiday Spectacular at the Herb Strauss Schoolhouse Theater on Periwinkle Way. This should be a great holiday celebration and with lots of family fun and a great holiday show! Check it out Here. Maybe one of our more famous events caps off our holiday season, the Christmas Tree lighting at ‘Tween Waters Inn on Captiva Island. Friday November 29th beginning at sunset. The event has live music and spectacular holiday decorations around the resort, as well as fireworks. The 30-foot tree is outside with the Gulf of Mexico as its background. This is a fun family event! Check here for more information. 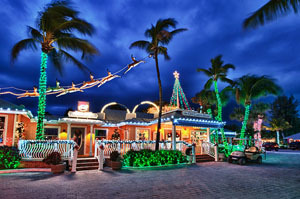 Captiva Island offers its own schedule of events, including a lighted boat parade, carols at Chapel by the Sea, a decorated golf cart parade and lots of world class entertainment! Click the links below for all events, dates and times! 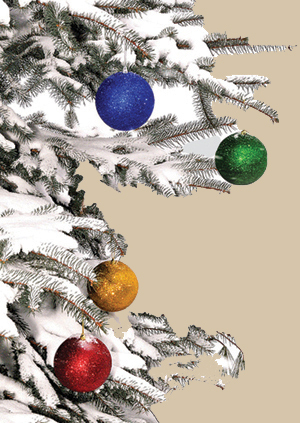 I hope you can come and enjoy the holidays on our islands! The weather is fantastic and the fun is endless. And, as usual, contact me for help with the purchase of your perfect island property! 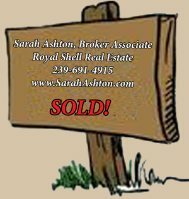 We have a full inventory of homes, condos and homesites for you to choose from... and I can help! Call Me Today!